Paralanguage is the voice effect that accompanies or modifies talking and often communicates meaning. It includes velocity of speech (e.g., fast, slow, hesitant), tone and volume of voice, sighs and grunts, pauses, and inflections. Urgency, sincerity, confidence, hesitation, thoughtfulness, gaiety, sadness, and apprehension all are conveyed by qualities of voice. McCaskey (1979) believes that the literal interpretation (i.e., definition) of words accounts for only 10% of communication between two people, whereas facial expression and tone of voice account for up to 90% of the communication. There is a real difference between verbal and vocal information. The verbal message refers to the words literally transmitted. The vocal message includes the emotional quality, the tone of voice, and the frequency and length of pauses— information that is lost when the words are written. Tone of voice, for example, can reverse the meaning of words. Sarcasm is a common example of a contradiction between vocal and verbal messages. Comparative studies have shown that when the vocal and verbal messages transmit contradictory information, the vocal is more accurate. Physicians should be alert to subtle changes of tone, such as when patients ask whether everything will be all right. Are they asking for reassurance, showing fear, or doubting the diagnosis? Rather than concentrating exclusively on what patients are saying, the astute physician will concentrate on how they are saying it. In a study of recordings of surgeons who had been sued and those who had not, the sued group could be identified by their tone of voice. They sounded dominant, whereas the nonsued group sounded less dominant and more concerned. "In the end it comes down to a matter of respect, and the simplest way that respect is communicated is through tone of voice" (Gladwell, 2005, p.43). A close personal interest in the patient can be communicated by the appropriate use of touch. The most socially acceptable method in this country is a handshake, enabling the physician to establish early contact with the patient. The handshake, properly used, can convey to the patient sincerity and interest as well as security and poise. It is an inoffensive intrusion into the other person's area of privacy and can be extended under certain circumstances to include the application of the left hand to the lower or upper arm. This technique is often used by politicians to emphasize sincerity and concern (Figure 12-1). A variation of the politician's handshake is the "double-hander," which some equate to a miniature hug. The handshake as a traditional greeting of friendship began by the raising of exposed hands by two approaching individuals to give evidence that they held no weapons. This proceeded to the grasping of hands or, in the Roman society, the forearms. In the United States, a firm handshake is most acceptable. 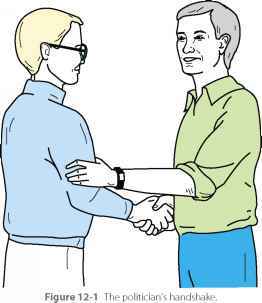 Usually, the limp or "wet dishrag" handshake indicates lack of interest or insincerity, especially if it is rapidly withdrawn. A moist palm is a sign of nervousness or apprehension, and the "halfway there," fingers-only handshake indicates reluctance or indecision. However, the handshake continues to be modified culturally, and a person should be extremely wary of misinterpreting another person's handshake without understanding his or her cultural background. In the past in China, the Confucian code of etiquette dictated that there should never be a touching of persons, and even today, Chinese officials may appear reluctant to grasp an extended hand; a Chinese man formerly shook his own hand (Butterfield, 1982). Some young people in the United States have modified the traditional palm-to-palm handshake to a grasping of the thumb and thenar eminence and continue to develop new variations reminiscent of the secret handshakes of fraternal groups. defensive barriers to communication. Caution should be exercised, however, not to use it excessively or earlier than is socially permissible. If used without adequate preparation, touch can be interpreted as an invasion of privacy and a forward and inconsiderate act. During the physical examination, it is best to talk before touching by explaining to the patient what will be done next. Studies of primates have shown that touching gestures usually are considered nonaggressive and calming in nature. When used properly by the physician, touch can be facilitative and welcome. The tremendous symbolic value of touch as a healing power was demonstrated during the Middle Ages, when people sought relief from scrofula (i.e., tuberculous lymphadenitis) through the king's touch, or royal touch, despite the notoriously low cure rates. This power has been transferred to physicians, and patients often feel better after a routine physical examination. Friedman (1979) stated that 85% of patients leaving a physician's office feel better even if they have not received medication or treatment, and 50% of patients in the waiting room feel better in anticipation of the help they will receive. Touch, or "laying on of hands," may promote healing, especially if it is imbued by the patient with a special symbolic value. Franz Mesmer (1734-1815) was among the first to emphasize the medical importance of laying on of hands. Mesmer, however, believed that there was a magnetic power in his hands, which he called "animal magnetism" and which he applied to ailing individuals. His theory was unscientific, and although he became famous for successfully treating a number of hysterical patients, he finally was discredited by a committee that included Benjamin Franklin and Antoine Lavoisier. They found his treatments to be without magnetism and essentially useless. They did agree, however, that he had helped many people and had brought about many cures. 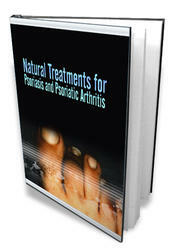 They attributed these cures to unknown factors rather than to the animal magnetism he claimed. Mesmerism was the forerunner of hypnosis, initially called "artificial somnambulism," developed by Puysegur, a disciple of Mesmer. The magic of touch can be good medicine, especially when combined with concern, support, and reassurance. Stroking, a special kind of touching, describes a physical or symbolic recognition of a person's finer attributes. A stroke may be a kind word, a warm gesture, or a simple touch of the hand. Infants deprived of touch and stroking suffer mental and physical deterioration. Adults also require stroking to maintain a healthy emotional state. Stroking occurs when an interchange between two people leaves one or both with a good or fulfilled feeling. Lightly touching someone's elbow for less than 3 seconds can give you up to three times the chance of getting what you want (Pease and Pease, 2004). Elbow touching works better in places where touching is not the cultural norm, such as Great Britain and Germany. The astute physician will cultivate observational skills that enable the detection of hidden or subtle clues to diagnosis contained in the patient's nonverbal behavior. Kinesics is the study of nonverbal gestures, or body movements, and their meaning as a form of communication. However, specific gestures and their interpretation are of importance only when judged in the context of the circumstances surrounding them. Body language alone does not reveal the entire behavioral image any more than verbal language does alone. Just as one word does not make a sentence or even have much meaning without the sentence, a single gesture has clinical relevance only as part of a sequence of actions. Although they have significance, individual signs are not reliable when they stand alone; they are meaningful only when considered in the context of a person's total behavioral pattern. When there is congruence between the verbal and nonverbal message—when the gesture conveys the same message as the spoken word—communication and its meaning are probably in agreement. When a person indicates something different from the other, however, the nonverbal message usually is more accurate. Unless body language, tone of voice, and words spoken all match, look more closely for the reason. Attempts by the patient to mask feelings can be detected readily by observing body behavior. True feelings are more likely to leak through conscious efforts to conceal feelings. Likewise, a physician's attempt at deception will be detected by patients and can destroy confidence and damage rapport. Positive verbal communication (e.g., "You're looking better today") accompanied by negative nonverbal cues will be interpreted by the patient as insincere. For example, a patient who is not told the true nature of a terminal illness usually knows it anyway and may distrust family, friends, and physician if they persist in the charade. In a medical school commencement address, Alan Alda (star of TV's M*A*S*H) challenged new physicians to be able to read a patient's involuntary muscles as well as their radiographic studies. He asked, "Can you see the fear and uncertainty in my face? If I tell you where it hurts, can you hear in my voice where I ache? I show you my body, but I bring you my person. Will you tell me what you are doing and in words I can understand? Will you tell me when you don't know what to do?" (Time, May 28, 1979, p. 68). The physician will see the fear and uncertainty in the patient's face only if she or he is looking at the patient rather than the medical record. Alda's statement reflects the concern and compassion that patients desire. By using appropriate body language, the physician can convey this attention and concern in the most effective manner possible. The body position when sitting can show various degrees of tension or relaxation. 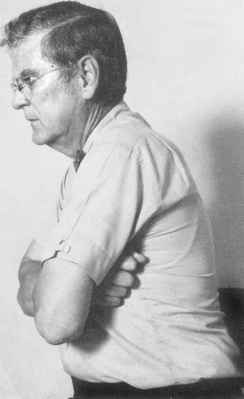 The tense person sits erect with a fairly rigid posture. A person who is moderately relaxed has a forward lean of approximately 20 degrees and a side lean of up to 10 degrees. A very relaxed position (usually too relaxed for physicians interacting with patients) is a backward lean (i.e., recline) of 20 degrees and a sideways lean of more than 10 degrees. Higher patient satisfaction is associated with a physician's forward body lean and rotation of the torso toward the patient. Larsen and Smith (1981, p. 487) found that "the patient also responds more favorably to the physician who relaxes his chin in his hands and gazes directly at the patient, rather than a physician who elevates his chin (unsupported) as if to imply a more superior status." Physicians whose communication styles have been considered patient oriented have been observed to change body position more frequently than physicians whose conversations were physician centered. An attempt should be made, whenever possible, to sit rather than stand when interviewing a patient. Rapport is improved if the physician does not intimidate the patient by placing him or her in a submissive position. Patients feel more comfortable and less helpless speaking in a sitting position rather than prone. Sitting on the patient's bed is usually not recommended, but for some patients, it is an effective means of establishing closeness and conveying warmth in a relaxed yet attentive manner. 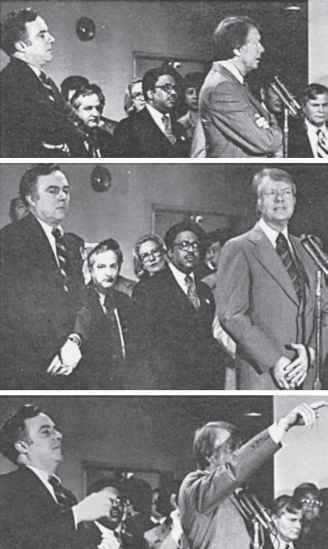 Figure 12-2 Joseph Califano (left), Secretary of Health, Education and Welfare, mirrors his boss, President Jimmy Carter, through his posture and gestures. this sudden disruption of mirroring activity by the patient, more attention should be focused on the comment that led to the change of position. Renegotiation or further explanation may be indicated. A powerful way to establish rapport is to match intentionally the body language of another. Typically, the head is held forward in anger and back in defiance, anxiety, or fear. It is down or bowed in sadness, submis-siveness, shame, or guilt. The head tilted to one side indicates interest and attention (Scheflen, 1972) (Figure 12-3); under certain circumstances, this can be a flirtation. The erect head indicates self-confidence and maturity. When listening to a patient, the physician should show interest and concern by an attentive position, which is best illustrated by sitting forward in the chair with an interested, attentive facial expression and the head slightly tilted. Darwin was one of the first to notice that animals assume a head tilt when listening intently. The human face can create more than 7000 expressions using 44 muscles (Cleese, 2001); some say 10,000 expressions are possible (Ekman, 2003). Darwin (1872) proposed that cultures throughout the world express similar emotions or states of mind with remarkably uniform body movements. 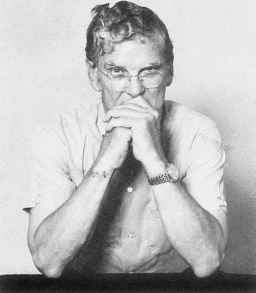 His information was gathered from missionary friends working with aborigines, persons under hypnosis, infants, and patients with mental disease. He also studied blind and deaf persons who, without benefit of learning from others, were observed to raise eyebrows when surprised and shrug their shoulders to indicate helplessness. 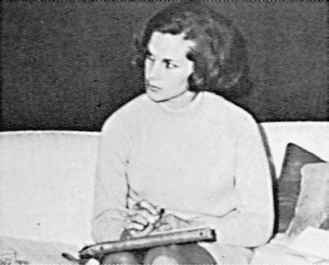 Figure 12-3 This woman signals attentiveness and seriousness by holding very still, cocking her head, and looking intently at the speaker. 2006). Various cultures, however, do disguise the facial expression in different ways. In American culture, the mouth is used most often to disguise feelings. A person in a social gathering may be smiling, although inwardly sad or angry. The eyebrows, eyes, and forehead are least affected by these cultural disguises and are the most consistently dependable indicators of emotion. As Shakespeare wrote, "I saw his heart in his face" (The Winter's Tale, Act I, Scene II). Ekman and Friesen (1975) found that the facial expressions of fear, disgust, happiness, and anger were the same in countries with widely disparate languages and cultures. They used composite facial photographs to show how each part of the face contributes to the expressions of emotion, especially surprise, fear, disgust, anger, happiness, and sadness. In American culture, when people want to disguise their true feelings and convey a more socially acceptable impression, they do so by smiling. This may be especially true in patients who are sad or depressed. 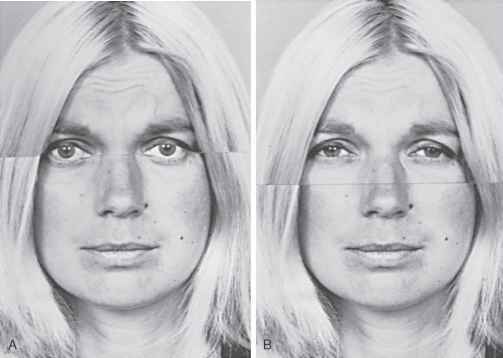 Figure 12-4 is a composite showing sadness in the eyes, brow, and forehead being masked by a smile. A genuine smile can be helpful in quickly establishing a friendly atmosphere and developing a warm, interpersonal relationship. A grin can be the physician's most effective weapon for breaking down resistance or apprehension in patients, especially children or young adults. A number of studies have shown that patients are more positively disposed to physicians who smile. The smile must be genuine, however; patients can easily spot a phony smile. Figure 12-4 Masking sadness by smiling (see eyes and forehead). reveal a true smile that involves characteristic creases around the eyes. A genuine smile lights up the whole face; one that does not is more likely a deception (Ekman, 2005). Ekman and Friesen (1975) also described micro-expressions, a valuable indication of masking or deception. "Microexpressions are caused by the face's all too rapid efficiency in registering inner feelings" (Morris, 1977, p. 110). Most facial expressions last more than 1 second, but micro-expressions last only about one fifth of a second (Ekman, 2003). This is approximately the time it takes to blink an eye, and micro-expressions easily can be missed if the physician is not carefully observing the patient. Micro-expressions tend to occur when emotion is concealed unwittingly by repression or deliberately by suppression. They can be seen if the patient begins to show a true facial expression, senses this, and immediately neutralizes or masks the expression. Some micro-expressions are complete enough to show the true emotion felt, but most often, they are squelched to such an extent that the physician has only a clue that the patient is concealing some emotion. Most expressions last about 2 seconds (0.5-4 seconds). Surprise is the briefest expression (Ekman, 2003). The eyes are probably the principal organs of expression. They are so important to a person's appearance that when anonymity is desired, only the eyes need to be covered. The eyebrows have been shown to have 40 different positions of expression and the eyelids 23. Consider the magnitude of possible combinations when all facial elements are involved as indicators of expression. The message conveyed by each position can be further modified by the length of a glance and its intensity. The eyes can give more information for some emotions than others. 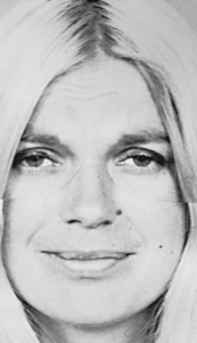 Knapp (1978) found that the eyes were better than the brow, forehead, or lower face for the accurate portrayal of fear but were less accurate for anger and disgust. Even the lower eyelid alone can convey considerable information. In Figure 12-5, it is apparent that the person in B depicts more sadness than the one in A, but the pictures differ in only one respect: the lower eyelid. Figure 12-5 Sadness shown in the eyes and forehead (the mouth is neutral). The importance of the eyelids can be seen because the person on the right (B) is obviously sadder than the one on the left (A) but differs only in that a sad lower eyelid has been substituted for a neutral lower eyelid. that listeners are interested, whereas constricted pupils suggest that they do not like what is being said (or viewed). Sincerity is expressed with the eyes. The best method for conveying sincerity is frequent eye contact, a technique most appropriately used when listening to the other person. One trait of good listeners is that they constantly look at the speaker. A listener who does not maintain eye contact but continues to look down or away from the speaker, may be shy, depressed, or indicating rejection of the speaker or the comments being made. One patient said, "I had one student doctor who looked at his toes instead of me. If he ever opens a practice, I don't believe I would trust him." Conversely, speakers frequently may break eye contact when talking and are permitted a distant stare when formulating ideas and selecting phrases. However, they still should try to make frequent, although less prolonged and intense, eye contact. A special form of human-to-human awareness is conveyed by eye contact. Prolonged eye contact, or staring, can be offensive. Monkeys can be provoked to combat by a person staring at them because of the threat of aggression that this represents. Under other circumstances, however, staring can be flirtatious, emphasizing that the meaning of eye behavior depends on other factors in the situation. The acceptability of eye contact varies significantly among different cultures. In the United States, focusing the eyes on the speaker indicates respect and attention, regardless of the age of the individuals involved. However, Mexican Americans tend not to maintain as much eye contact while listening as do other Americans and may look away from the speaker more often. This is not a sign of disrespect or inattention. In Latin American countries, a younger person may be thought disrespectful if his or her eyes meet those of the adult who is speaking. A physician could be considered seductive in that culture if he or she maintained steady eye contact while talking to a patient. In the United States, it is impolite to maintain eye contact with a stranger for more than 3 seconds, but Europeans believe that longer periods of eye contact are normal. The physician needs to consider the patient's cultural background when interpreting the meaning of eye contact behavior. Looking away from the speaker from time to time may be a sign of respect and sensitivity rather than the opposite. At the same time, the physician's failure to look a patient in the eye can be dehumanizing and can cause the patient to feel more like an object than a person. Patients are most comfortable when the physician looks at them approximately 50% of the time and are uncomfortable when eye contact is avoided. The frequency of eye contact also can provide clues to whether the patient is anxious or depressed. The eyes of anxious patients blink frequently or dart back and forth. They look at the interviewer as frequently as low-anxiety patients but maintain eye contact for less time on each gaze. Similarly, the patient may interpret the physician's lack of eye contact as indicative of anxiety or discomfort, even rejection. Frequent blinking of the eyes can be a sign of pressure or stress. In a political debate between Senator Bob Dole and President Bill Clinton in 1996, Dole blinked an average of 105 times per minute, showing more pressure than Clinton's 48 times per minute. Depressed patients maintain eye contact only one-fourth as long as nondepressed patients. Downward contraction of the mouth and a downward angling of the head are also cues to depression. As with the anxious patient, there is no difference in frequency of eye contact in the depressed patient; the difference is only in the duration of contact. Patients with abdominal pain caused by organic disease are more likely to keep their eyes open during palpation of the abdomen than those with nonspecific pain (Gray et al., 1988). The patient with genuine abdominal tenderness may apprehensively watch the physician's hand as it approaches the tender area. The hands will be droopy and flaccid with sadness, fidgety or grasping in anxiety, and clenched in anger. When a speaker joins her or his hands, with fingers extended and fingertips touching, it is called steepling and indicates confidence and assurance in the comments being made (Figure 12-6). Palms usually are held in the palm-in position. Turning the palms outward can be a subtle courting behavior (usually used by women), but it more likely indicates a warm and friendly greeting (Davis, 1975). The hands of an anxious patient can be observed to shake when holding a pen, to twitch, or to be braced unnaturally. The white-knuckle pose of tightly locked fingers can be an effort to mask anxiety. Hands can be a subtle indicator of the urge to interrupt. Be alert for this sign in a patient so that important information will not be suppressed, and the patient can be given every opportunity to supply valuable information. Indications of this urge to interrupt are a slight raising of the hand or perhaps the index finger only, pulling at the earlobe, or raising the index finger to the lips. The latter gesture also may indicate an attempt to suppress a comment and should alert the physician to inquire further and elicit the hidden information. 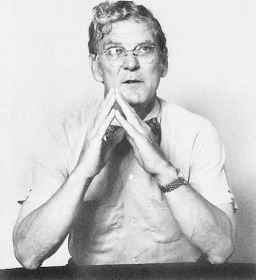 A patient listening in "The Thinker" position, with the index finger across the lips or extended along the cheek, or one sitting with elbows on the table and hands clenched in front of the mouth, although listening intently, may not believe or understand the physician's words (Figure 12-7). Figure 12-7 The defensive or "doubting Thomas" position. The physician should take additional time to amplify the issue or explain the diagnosis or treatment regimen further. Although folded arms are found in all cultures, this is considered a discovered action rather than an inborn trait because it is a natural position of comfort that is as easily discovered by the African tribesman as the New York banker. It is the subtle ways in which the arms are held that can give clues to underlying emotions. Crossed arms can be a defensive posture, indicating disagreement with another's view, or it can be a sign of insecurity. It can also be nothing more than a position of comfort and should, as with all other signs, be considered in the context of the individual's total behavior. 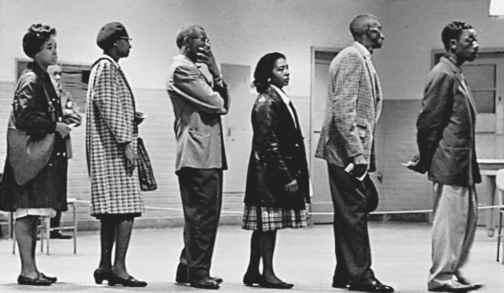 Notice the manner in which the arms are crossed. Are they relaxed in the normal position of comfort, or are they in a hugging posture, reflecting insecurity or sadness and indicating a need for reassurance? Anger can be seen in clenched fists that are held tightly against the body in a holding-back manner, preventing them from hitting (Figure 12-8). If the patient has assumed a position of resistance or defensiveness, sitting with arms and legs crossed and perhaps with body turned away, search for the reason for this defensiveness and try to eliminate it. Perhaps a recommendation that the patient stop smoking is threatening and difficult to accept. In that case, it is important to make an additional effort to explain the rationale for the recommendation; do not hurry over it with a brief comment or admonition. Figure 12-8 The resistant position, suggesting suppressed anger. resistant patient is likely to be incomplete, and instructions are unlikely to be followed. Notice the position of the feet and their movement. As with fidgety hand movements, anxiety is associated with the fidgety, constantly moving foot. An anxious or scared person may sit forward in the chair with feet placed in the ready-to-run position, with one foot in front of the other. The angry person is more likely to place the feet widely apart in a position of stability, whereas the feet of a sad person tend to move in a slow, circular pattern. The thumbs-up sign in the United States means "good going," but in some Islamic countries, it is the equivalent of an upraised middle finger. Similarly, the extended hand with palm forward means "stop" in the United States, but in West Africa, it is an insult greater than the upraised middle finger. Joining the thumb and index finger in a circle to indicate "OK" is an insult in many Latin American countries and in France means zero or worthless. In Texas, raising the index and little finger with the middle two fingers folded down is the "Hook 'em Horns" gesture of the University of Texas Longhorns, but in parts of Africa this gesture is a curse and in Italy it means your spouse is unfaithful. American television and the movies have dulled these differences worldwide, although some still exist. In the 1978 movie Inglorious Bastards (remade in 2009) the American posing as a German was detected because he displayed the number 2 using index and middle fingers, whereas Europeans would hold up the thumb and index finger with the thumb being number 1. Figure 12-9 The defensive position. Preening gestures, such as the male pulling up socks, adjusting a tie, or combing hair and the female adjusting clothing or using a mirror to review makeup, may not necessarily be seductive in nature but can be an attempt to establish rapport and good interpersonal relations. If the preening is intended to be flirtatious, however, the woman may cross her legs, place a hand on her hip, caress her leg, or stroke the arm or thigh in some fashion. The flirtatious male typically uses gaze holding and head tilt to accentuate normal preening gestures or may stretch to make himself look larger. Both genders may use "accidental" touching as a flirting signal. When someone's attention is completely focused on the other, legs, knees, and feet are usually extended in the direction of the other. The physician should remain alert to the accentuation of normal preening gestures into courtship actions to identify the seductive patient and deal with the issue early, before unknowingly encouraging the patient to proceed further along this course. Figure 12-10 The nose rub, a variation of the respiratory avoidance response. doing this, they should observe the accompanying circumstances and notice whether posterior pharyngeal mucus is truly present. Another component of the respiratory avoidance response is the nose rub (Figure 12-10). 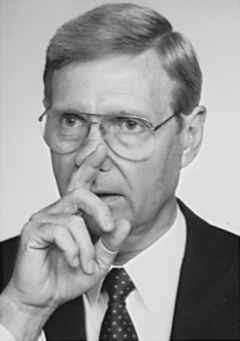 This involves a light or subtle rub of the nose with the index finger and signals rejection of a statement being made by the subject or by another individual. The nose rub to relieve an itch is usually vigorous and involves a repeated series of rubs, whereas that of the respiratory avoidance response is soft and consists of one or two light strokes, often involving nothing more than a light flick of the nose. Morris (1977, p. 111) described the nose flick as "a reflection of the fact that a split is being forced between inner thoughts and outward action." It can be associated with lying or with the struggle to appear calm while suppressing anger or discomfort. During Bill Clinton's testimony to the grand jury regarding his affair with Monica Lewinsky, he rarely touched his nose when telling the truth, but when he lied he gave a split-second frown, then touched his nose. During the testimony he touched it 26 times (Pease and Pease, 2004). Variations of the nose rub include pulling at the earlobe, scratching the side of the neck or rubbing one eye. Someone aware of the nose rub will often notice it in themselves and realize they are uncomfortable with what is being said by themselves or others. Watching for this during interviews on television may indicate the person being interviewed is uncomfortable with the question, or the person asking may realize it is a "testy" point. This sign can be quite useful in patient interviewing. For example, the physician may ask a patient, "How are things at home?" The patient may answer, "Fine," but then clears his or her throat and lightly rubs the nose with the index finger. He or she is actually saying, "I don't like what you are asking me," or "I feel uncomfortable with my answer; things really aren't going very well at home." If there is a cause to pursue the issue further, a simple comment such as "Really?" or "You mean not even an occasional argument?" may lead to a flood of information masked by the previous response. Another indication that what a patient is saying may be in conflict with what is being felt is a verbal-nonverbal mismatch, such as when the patient answers "fine" to "how are things between you and your husband" while looking sad and avoiding eye contact (Quill, 1989). If the patient answered negatively to the question, "Have you ever had a venereal disease," and at the same time exhibited a nose rub, this topic should be followed up with a similar inquiry later, perhaps while doing the physical examination, when the patient may feel more comfortable after better rapport has been established. Other clues that the patient may not be telling the truth or that there are repressed feelings are asymmetric facial expressions and a prolonged smile or expression of amazement. Almost all authentic facial expressions fade after 4 or 5 seconds (Ekman, 1985). Neurolinguistic programming (NLP) involves the eye movements performed while thinking and depends on whether a person is thinking visually, aurally, or kinesthetically. A right-handed person who is visually oriented will look up and to his or her left when recalling something visually, but up and to the right if creating something visually or, in other words, making it up or lying. Similarly, a right-handed person will look sideways to his or her left when recalling sounds and sideways to the right when imagining sounds. A person who is looking up and to his or her right (i.e., your left) probably is imagining things he or she has never seen before. This technique is used by police investigators when interviewing suspects. A left-handed person will respond in opposite directions (Zellmann, 2004, Brooks, 1989) (Figure 12-11). • Cover the mouth with hand. Eye movements Figure 12-11 Neurolinguistic programming. • Blink excessively (although absence of blinking is also possible). • Have a micro-expression indicating something is different than what is said. • Avoid making eye contact. • Be defensive rather than aggressive. • Change manner or posture abruptly. The liar will also rarely touch the other person or point a finger at them or others, and the story will not include negative details (Lieberman, 1998). The liar is not comfortable with silence and may speak more than normal to convince the other. Persons suspected of lying should be encouraged to talk because verbal and nonverbal clues will then be easier to detect (Vrij, 2005). Liars are also likely to slouch, unlike a confident person, who will sit upright. Remember that it takes a combination of verbal and nonverbal clues to detect lying, and no single action is likely to be dependable other than to raise doubt or suspicion. Proxemics is the study of how people unconsciously structure the space around them. This structuring varies with every culture. North Americans, for example, maintain a protective "body bubble" of space about 2 feet in diameter around them when they interact with strangers or casual acquaintances. Violators of that space are considered intruders and cause the person to become defensive (Figure 12-12). In the Middle East, no such bubble exists, and it is proper to invade this area. In fact, not to do so may be interpreted as unfriendly and aloof. Arabs prefer to stand close enough to touch and smell the other person. Americans, however, if forced to stand close together, as on a crowded subway, will use their eyes (i.e., distant gaze) to maintain a more proper distance. An arm's length is a good measure of the appropriate personal distance for most people. A wife can stand inside her husband's bubble, but she will be unhappy if another woman invades this sphere of privacy, and vice versa. Robert Frost said, "Good fences make good neighbors." In suburbs and small towns, people are more likely to talk to each other while in their backyards if a fence indicates the boundary than if there is a communal yard (McCaskey, 1979). Marking the boundary helps maintain territoriality and actually brings the neighbors closer together than when there is no fence. Intimate space has been classified as that ranging from close physical contact to 18 inches, personal space from 18 inches to 4 feet, social space from 4 feet to 12 feet, and public space from 12 feet and beyond. Placing a desk between two people shifts personal space to social space. The office desk also can be a barrier to communication when it is placed between the physician and patient, thereby emphasizing the illusion of the physician's importance and power. There may be occasions when this is desired, but it usually is not necessary in a family physician's office. Office furniture should be arranged so that a minimum number of obstacles lie between physician and patient. Automobiles magnify the size of one's personal space up to 10 times. Compare the relationship of two people having a conversation with that of "road rage" when one invades the other's space by cutting in front of them.